Below you will find our transcription and translation of “Hi Kifak Ca Va”. We have provided links to brief explanations of Arabic words that we have left untranslated; these links lead to other pages on our blog as well as notes at the bottom of this page. Lyrics and translation of “Hi Kifak Ca Va” are printed here by the Lebanese Arabic Institute with the permission of the copyright owner. Hey Lebanese, where did you get this from? What’s wrong with the word “marHabā” or “SabāH lḰér”? Is there anything more beautiful than “sa3īdeŧ” – rather, “masāå lḰér”? yā lél yā 3én… daḰḰilné 3almaSmūdé! يا ليل يا عين… دَخِّلْني عَالمَصْمودي! yā lél yā 3én… let’s get to the rhythm of the drum! mon Dieu, quelle marriage! مون ديوو، كيل مارياج! My God, what a blend! My God .. What a blend! yā lél yā 3én… dawwibné btaĀāsīmak! يا ليل يا عين… دَوِّبْني بْتَقاسيمَك! yā lél yā 3én… melt me in your oud solo! Please, s’il te plait, yā māmā baddé Āēkul! بْليز، سِل تو بليه، يا ماما بَدّي آكُل! Āaw mā byuTla3lak tēkul! أو ما بْيُطْلَعْلَك تاكُل! Please, I beg you please, Mom I want to eat! or you don’t get to eat! manĀūšeŧ (plural “manāĀīš / مَناقيش“; often written “manoushe” or “man’oushe”): flatbread topped with thyme or cheese and baked in the oven. People usually pick it up from a bakery for breakfast on the go. 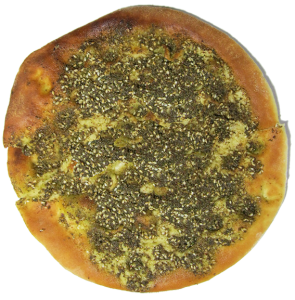 Video: Manoushe Zaatar: A Traditional Lebanese Breakfast from Anthony Rahayel on YouTube. tabbūleŧ (“tabbouleh”): Middle Eastern salad made from parsley, tomatoes, spring onions, a few mint leaves, bulgur, lemon juice, salt, and olive oil. Some people also add seven spices. 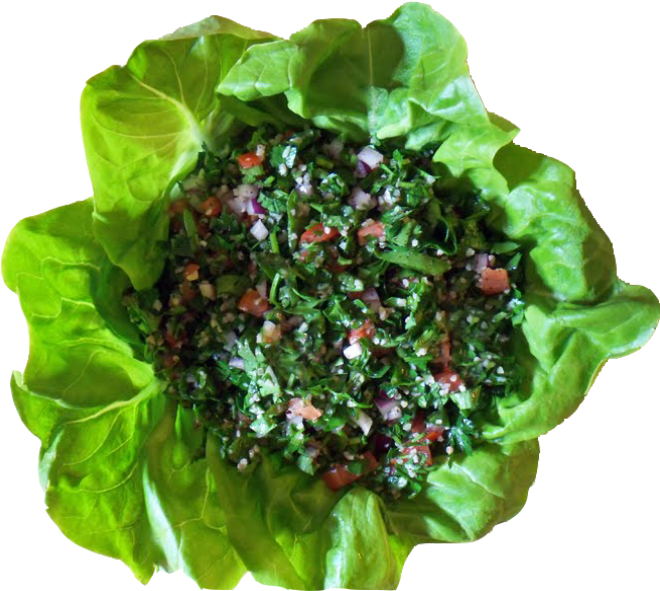 Tabbouleh is usually eaten with lettuce or cabbage. “yā lél yā 3én…”: a phrase which is commonly used in Arabic songs for dramatic effect. It does not really have a specific meaning, although a literal translation would be “O Night O Eye”. Video: Marwan Mahfouz – Abou Elzelouf from Marwan Mahfouz on YouTube. This entry was posted in Culture & Society and tagged Arabic greetings, hi kifak ca va by مؤلف. Bookmark the permalink.